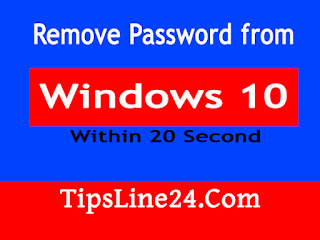 Hi Guys, Today I will teach you How to Remove Password From Windows 10 within 20 Second. To remove password from windows 10 is very easy. It will take maximum 20 second. I hope that, This topic must helpful for every Windows 10 user. Because, Many user can't know How to set or remove password in Windows 10. I will show you How to set password in windows 10 to other topic. today I will show you How to Remove Password From Windows 10 within 20 Second. Often passwords are set up unknowingly. User suffer from this problem and think it complex. But it is very easy. I will solve it now. Lets Start..
First go to Run Command and type netplwiz then press OK like bellow image. This window gives you access to Windows user accounts and many password controls. Right at the top is a checkmark next to the option labeled Users must enter a username and password to use this computer.” Uncheck that. First UnCheck the Check Box Like bellow image. Right at the top is a checkmark next to the option labeled Users must enter a username and password to use this computer.” Uncheck that. UnCheck the CheckBox and press Apply and OK. When you click Apply it will prompt you for your current password. Enter it twice and you’re finished. Here will appeare a box like bellow image. To make this change you’ll need to type in your administrator’s password one last time. Type Your current password and press Ok.
Now Restart your computer. You can use your computer without password. Thanks for read this topic. If you feel any problem please comment here. I will try to solve your problem. Don't think this trick complex. It is very easy.